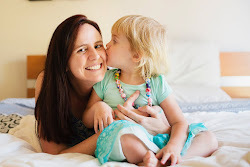 I don't often tell this story, but I thought it would be a nice one to have on the blog as a bit of a reminder of where I was 14 years ago (wow that's seems like a long time when you add up 5 years of uni and 9 years of teaching). I didn't begin with an Education degree straight after high school. I was always good at computers and technology, and this is the field my dad works in, so we (my parents and I) decided I would apply for a double degree - Bachelor of Computer Science with Bachelor of Arts. Uni began and it was soooo different to high school. I suddenly became popular and as a result, more interested in the social side of uni life rather than the studying (well in my computing subjects anyway - I actually found the Arts subjects kind of interesting and hence got better grades for them). Part way through that year when I turned 18, I got a part time job working in my local Out of School Hours Care at the primary school I attended - just down the road from home. Not because I was particularly interested in this area, I just thought it would be a fun part time job. Meanwhile - I absolutely loved working with the children and several of the other staff (including my boss) would often say to me "You're so good with children - why aren't you studying teaching?" So I made the big decision to change courses. I met with the Uni counsellor and Head of Education to discuss how I would go about it. I suddenly became excited about the prospect of learning about an area I was interested in. I dropped computing altogether but finished the arts subjects over the remainder of that year (which gave me credit for my elective subjects in the coming years). I continued working in OSHC, learning every day about the kind of educator I would become, right up until I completed my Bachelor of Early Childhood Education. 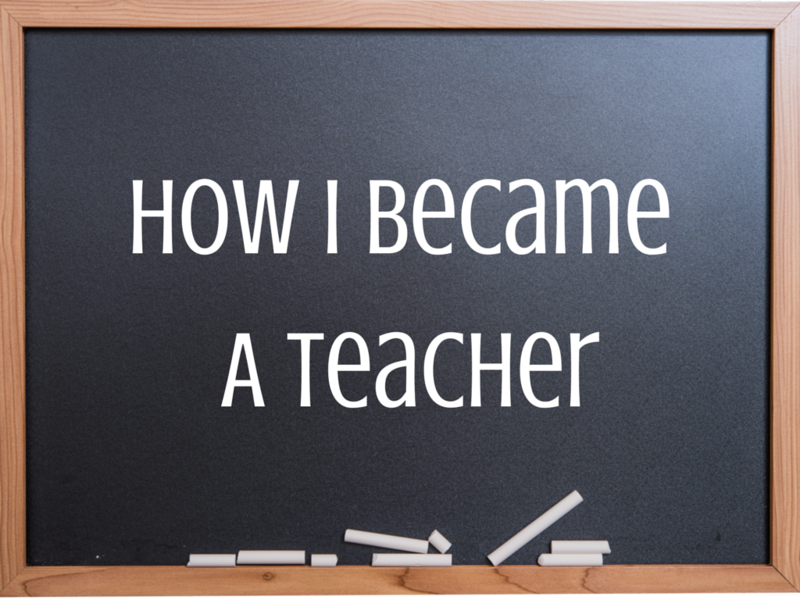 When I began my first education subject all of a sudden I experienced a love of learning. I wanted to do the readings, I wanted to learn more, I was eager to tackle the assignments... because compared to what I was doing the previous year - I actually found it interesting! I was an enthusiastic student teacher and put my heart and soul into my lesson plans at various early childhood education sites. In 2005, I was in my fourth and final year (well fifth year if you count computer science). I was starting to think ahead about where I might be able to get a job once I was finished uni. A friend's sister worked at my current school - so this was my foot in the door. I completed my final student teacher placement there, applied and successfully won the position in a Year 1 class. What a way to start my career! I already knew the school, some colleagues and felt confident and comfortable. I've learnt a lot since then, particularly about classroom management, different strategies to encourage students to do and be their best, various programmes to successfully teach literacy and numeracy, teaching students with Autism Spectrum Disorder and so much more. 9 years later I am still there! It's a wonderful school and next year's Year 10 students will be my first ever little class so that's really special. Part time teaching is working so well for me at this point in my life. I'd like to finish with a piece of advice to anyone reading this who perhaps doesn't know what they want to be when they grow up. You don't have to have it all worked out straight after high school, or even in your 20s or 30s. Change is always a possibility, further study is always a possibility. We spend so many hours of our lives at work - I believe that it's important that you enjoy what you do. I could not see myself working at a computer in an office job from 9-5 which was where I would have ended up had I completed my first uni course. If you want to be a teacher - go for it! It's an amazing, rewarding and heart-warming profession. It's funny how our lives change through Uni. I have a degree in Psychology & French, but decided at the end I wanted to do Human Resource Management. So I went on to do a grad dip in Management, which lead to a career in the public service, which lead to me starting a Masters in Public Sector Management. Now, 21 years after I started my degree I work for myself. Now, I would never have imagined that! What an inspiring story Lauren. It's incredible the overwhelming sense of passion, commitment and joy that comes from finding things to study that you love. I'm becoming a teacher of sorts in that I'm studying and practising to become a coach and teacher to adults. My aim is to teach them to connect with and love themselves so they can live a life filled with passion and purpose - to help them find the things they love, that they want to do, that make their hearts sing. It's been a long and rocky journey for me to get where I am now but I, like you, now love the learning, the work, the connection, the experiences and the confidence that comes from finding my place in life. Thanks for sharing your story Lauren. Always lovely to hear from you Sarah - it's wonderful that you have not only found your passion, but you have the ability to help others to find theirs. What a fantastic story to read. It's interesting where we are guided and what we follow. Your story is inspirational Lauren and I am sure the children in your care are thrilled you did it! Thank you Kerry, I am truely grateful that I love what I do - not everyone can say that! It's amazing the drive to learn when something really grabs you! What a blessing working in OSHC started. When I was seventeen/eighteen years old I had no strong direction I wanted to take, it's such a daunting prospect - what to do for 'the rest of your life'. When I reached my mid to late twenties I knew - junior primary teaching. At the moment my days are filled up with raising (& inadvertently teaching) our own six young children, but when our youngest is at school I'll be commencing my own studies. Hi Jessica, I'm so humbled to read this comment. I'd love to get in contact with you - do you have an email address. New teachers are the perfect readers for my blog and I hope you find lots of useful ideas here. Are for following me on FB and insta? Please feel free to share my blog with any of your uni or OSHC friends.